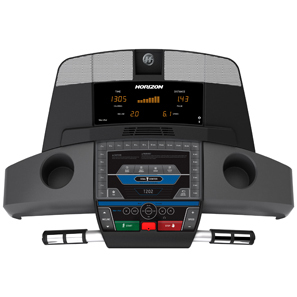 The Horizon T202 treadmill is another beautifully packaged treadmill from Horizon Fitness this year. However, just like most Horizon treadmills currently in the market, this one also comes with poor quality. The Horizon T202 would best fit walkers. It doesn't have a big motor and isn't very durable so runners should try to avoid this machine. 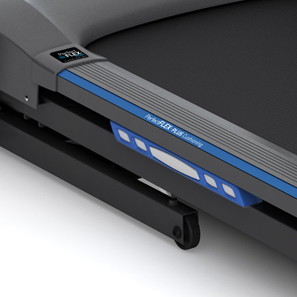 If you really want a treadmill for running, I suggest you visit our best treadmill page and look for a unit in the $1,500 or above price range. The Horizon T202 comes with a decent 2.5 HP continuous duty motor which has a max incline of 12% and a max speed of 12mph. However, because this machine was made from cheap parts I don't recommend you max out this machine's capabilities as this will definitely shorten its life. The 20” X 55” running surface provides enough room for you to move and be comfortable during your workout. This deck also comes with the PerfectFLEX™ Plus cushioning which provides shock absorption and support for your knees and ankle to minimize injuries. The console comes with two 4-digit LED windows which shows you important information regarding your workout so you will always know how much you've progressed. Plus, you can connect your iPod to the console and listen to your favorite music from the treadmill's speakers. And, with the iPod + Nike feature, you can save your workout data straight to your iPod for simple workout tracking. Other features include 12 workout programs to give you more variety in your exercise, the CoolFit™ fitness fan to keep you fresh during those long workouts and the foldable feature to save space in your room when the machine's not in use. And finally, the Horizon T202 treadmill comes with decent warranties. It offers a lifetime warranty for frame and motor and a 1 year warranty for parts and labor. 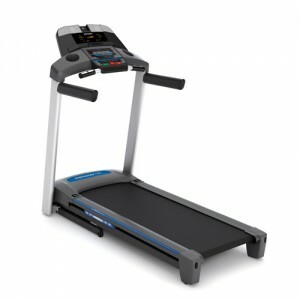 Although these warranties are not as good as some of our best buy treadmills in this price range. It is still better than most $800 treadmills. Just like other entry level Horizons, this machine's biggest weakness is its poor quality. It was not built to take a pounding so you should avoid running on this machine if you do decide to get one. Because of its poor quality, I would not recommend the Horizon T202 treadmill. If you really want an affordable treadmill, I suggest you visit our best buy treadmills page and check out our recommendations below $1,000. They come with more features and a heck of a lot better quality than this machine. If you plan on buying a Horizon T202 treadmill, I suggest you buy directly from Horizon. They offer the lowest price on the net. It is currently being sold for just $799.99. This treadmill is one month old. It sounds like I'm walking on a bag of bolts. I would not ever buy this again.